To ensure that projects remain viable and achievable, the power to vary the terms of, or the scope of works under, construction contracts can be essential for developers, particularly in times of political and economic uncertainty. But what is the difference between variations to and variations under a construction contract? Although the two concepts are easily confused, the distinction is very important given the significant differences in the implementation and outcome of each. The Supreme Court in E.ON v MT Hojgaard has held that apparently inconsistent provisions in a design and build contract relating to standard of skill and care as against the strict requirements of a technical output specification may both be enforced. This is likely to increase the scope of a contractor’s liability unless express provisions indicate otherwise. E.ON v MT Hojgaard could be the construction “case of the year”, as it will have an effect on the drafting of all construction contracts where the contractor (as often occurs) has a design role. The NEC Form of Contract is now in wide use in construction projects. The first clause says that the parties "shall act as stated in this contract and in a spirit of mutual trust and co-operation", often referred to as "good faith". What this means in practice is a question of importance for the development industry, both in relation to this particular contract and to the numerous other standard form or bespoke arrangements where "good faith" obligations are included. The extent of the good faith obligation was considered in a recent case, Costain v Tarmac. Here the Court was not prepared to allow a contractor to escape the effect of an express time bar clause by relying on the duty of good faith as imposing a positive obligation to point out its effect. 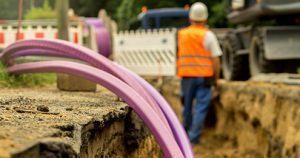 The court commented that the express duty in this case said little more than was previously thought to be implied into all construction contracts in terms of a duty to co-operate. So, whilst a good faith obligation prohibits unreasonable conduct which is without regard to the interests of the other party, it does not, it would appear, extend to informing the other party about the adverse effect of a particular term of the contract of which it should already be aware. Good faith clauses, therefore, do not prevent parties from relying on express terms of the contract. The effect is confined to a restraint on unreasonable conduct amounting to improper exploitation of the other party. bearing in mind that a higher standard of reasonableness may be required where the landlord is carrying out works for its own benefit. In this post, we examine the Supreme Court decision in the case of Hastings Borough Council v Manolete Partners Plc on 27 July 2016. 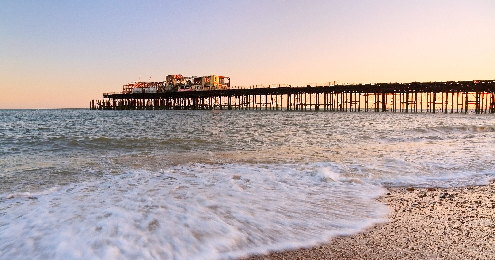 The court considered whether a local authority was liable to pay compensation where it had taken emergency action under the Building Act 1984 to close a building which was in a dangerous state (Hastings Pier). Anyone who sustains damage as a result of the closure can claim compensation for their loss under the 1984 Act in relation to a matter as to which he is not himself in default. The court decided that, on the facts of the case, a leaseholder was not in default as it was not legally responsible for the state of the building or the events which triggered the council's action. Therefore the local authority was liable to pay compensation. However, the court also decided that "default" did not simply refer to default under the Building Act under which the council had acted. The case is discussed in more detail below. In this post, we consider the requirement to obtain a licence under section 177 of the Highways Act 1980 for construction of, and alterations to, a building which oversails a public highway. Section 177 prohibits the construction of a building over any part of a highway maintainable at the public expense without a licence from the relevant highway authority (a section 177 licence), except in the exercise of statutory powers. Our experience is that this is fairly widely known in the property industry and investors looking to acquire a property comprising a building which overhangs a public highway are conscious of checking whether the relevant licence has been obtained.